Air emissions from animal housing systems are being examined more closely for ways to mitigate potentially harmful gases. Wet scrubbers are one way to remove pollutants from air being exhausted from mechanically ventilated buildings. The materials on this page were developed to assist educators and professors who include wet scrubbers as a topic in their classrooms or educational programs. Figure 1. 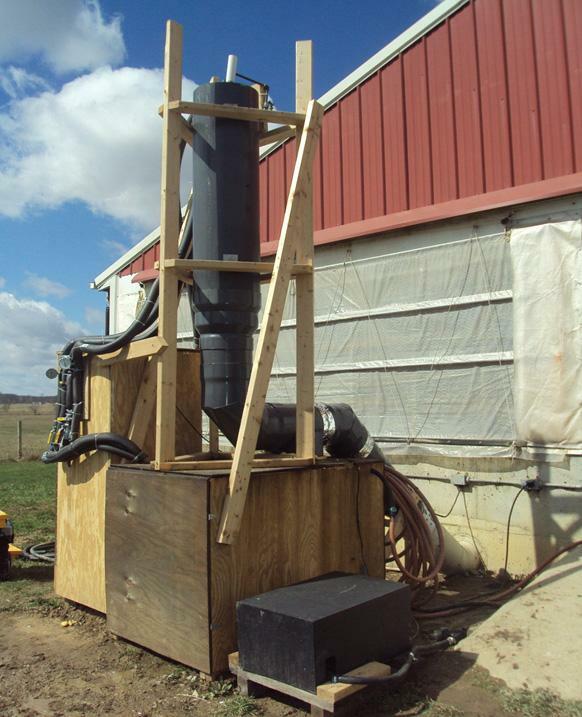 A prototype wet scrubber developed by the Ohio State University for a deep-pit swine facility. Photo courtesy of Lingying Zhao, Ohio State. For questions about the materials on this page contact Dr. Linying Zhao, Ohio State University (zhao.119@osu.edu). For questions about the AQEAA project, contact Dr. Rick Stowell, Unviersity of Nebraska (rstowell2@unl.edu). If you have presentations, photos, video, publications, or other instructional materials that could be added to the curricula on this page, please contact Dr. Zhao or Jill Heemstra (jheemstra@unl.edu).